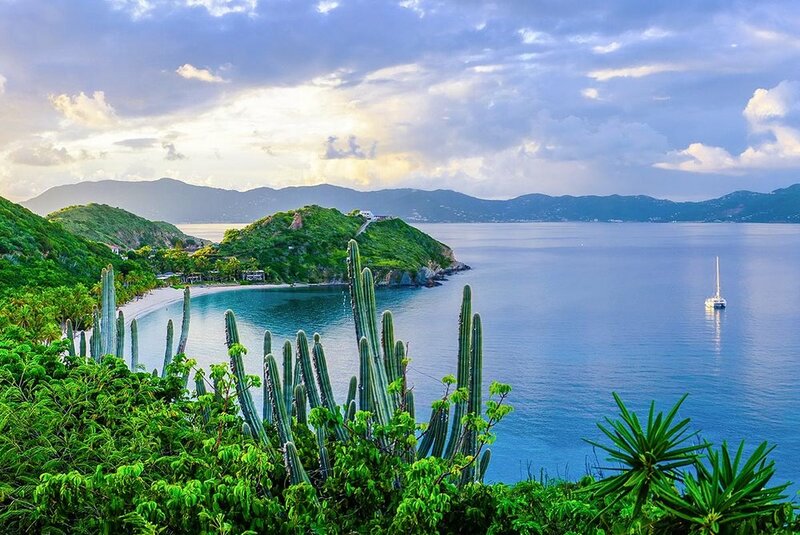 The Virgin Islands offer the perfect balance of relaxation and adventure, where days can be spent diving the deep, exploring desolate islands, playing a round of golf, or luxuriating in a spa treatment and fine dining experience. Often referred to as one of “nature’s little secrets,” these islands and cays are but a short cruising distance from one another; each unique in the variety of experiences, scenery and amenities it offers. 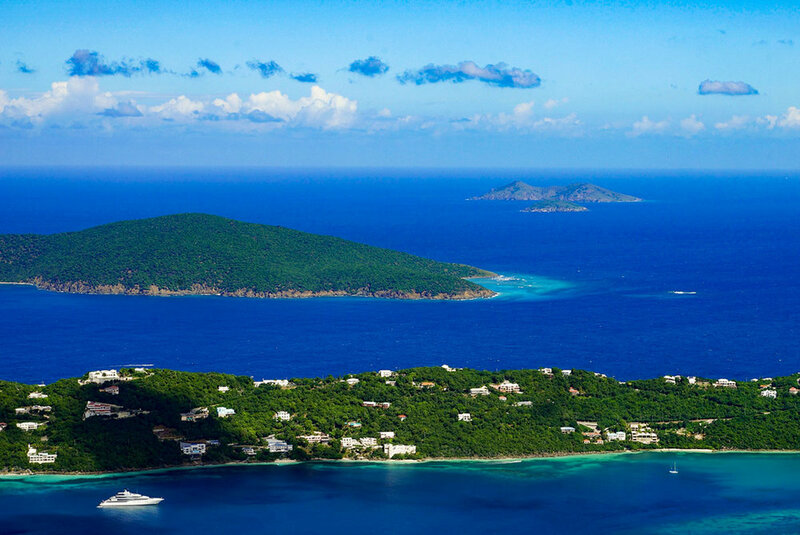 The pleasant climate, protected anchorages and comfortable cruising conditions make the Virgin Islands an ideal charter destination, where rugged volcanic islands rise out of the sapphire sea and white sand beaches play host to barefoot full moon parties. The gateway to the Virgin Islands, St. Thomas is a popular Caribbean island known for its beautiful beaches and inviting turquoise waters. 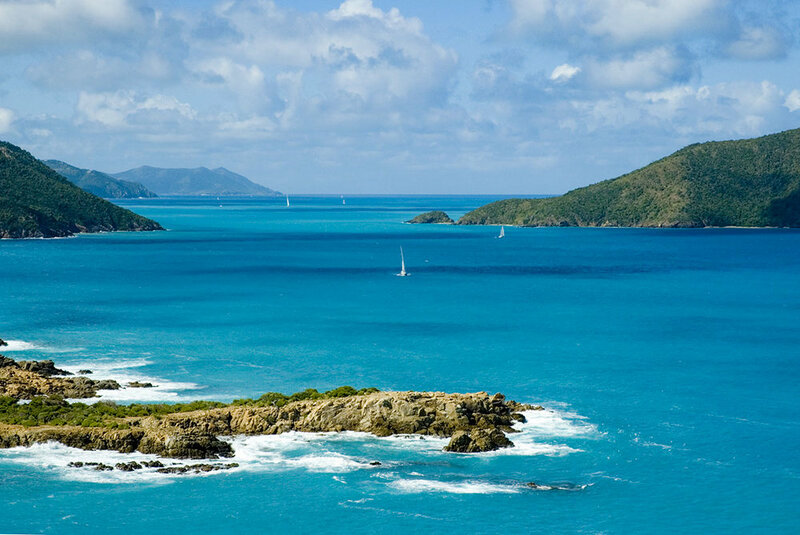 St. Thomas embodies the fair winds, natural splendor and rum-soaked bars that have long enticed sailors to the shores of the Virgin Islands and serves as the quintessential starting point for your Pura Vida yacht charter. This 32 square-mile island offers everything from shopping and sightseeing to golfing and nightlife. 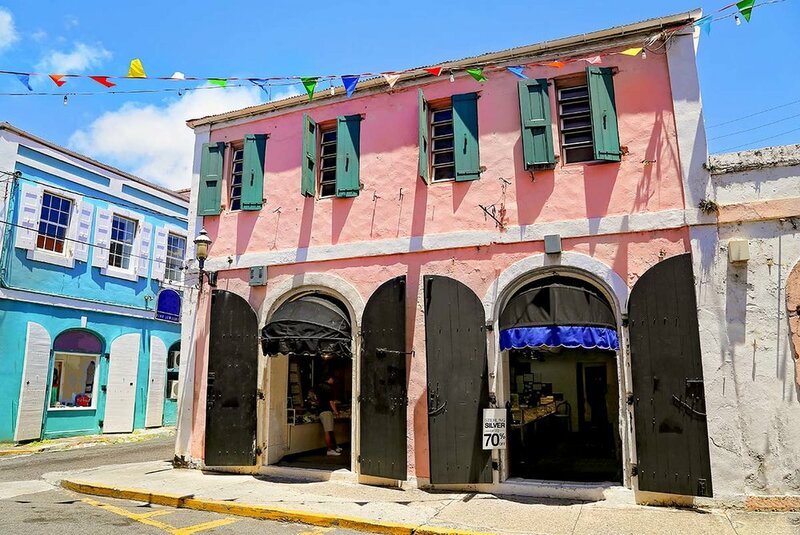 Adventure seekers shouldn’t miss the soaring gondola Skyride or a chance to climb the famous 99 steps of Charlotte Amalie. The smallest of the three U.S. Virgin Islands, St. John is a peaceful retreat, where migratory birds call from the treetops and dolphins and turtles play in the turquoise waters. It is here that the unspoiled beauty of the Virgin Islands comes to life, where days are spent frolicking in the waters off exquisite deserted beaches, hiking lush trails to a salt pond or historic ruins, or snorkeling through an underwater trail in Trunk Bay. 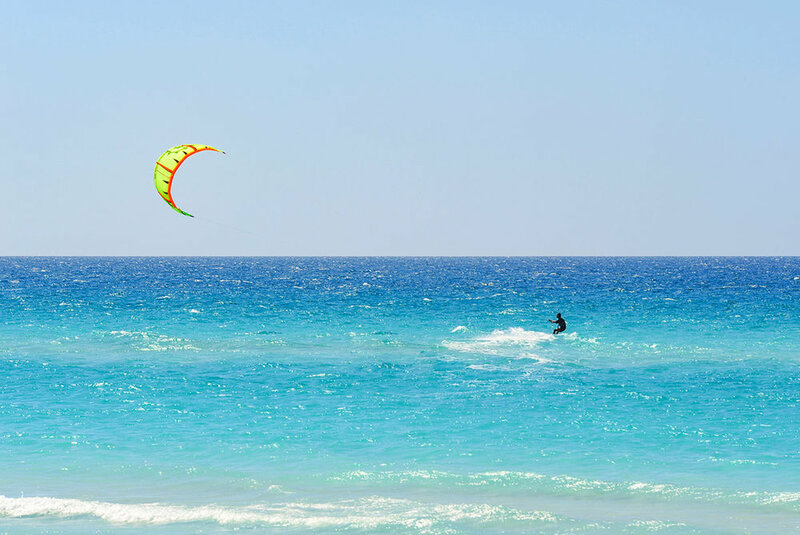 Escape the pace of the world in the secluded Francis Bay, where you can jet ski, swim, paddleboard, lounge on the beach and truly unwind. The smallest of the British Virgin Islands, the volcanic Jost Van Dyke offers mountainous peaks juxtaposed by white sand beaches and protected anchorages. Celebrate the island’s barefoot style and partake in the ritualistic swim to shore for a Painkiller at the Soggy Dollar Bar. Follow this up with a snooze in a hammock on the beach or on the spacious shaded sunpad on Pura Vida’s bow before heading to the famous Foxy’s for a rum punch and beachside BBQ. 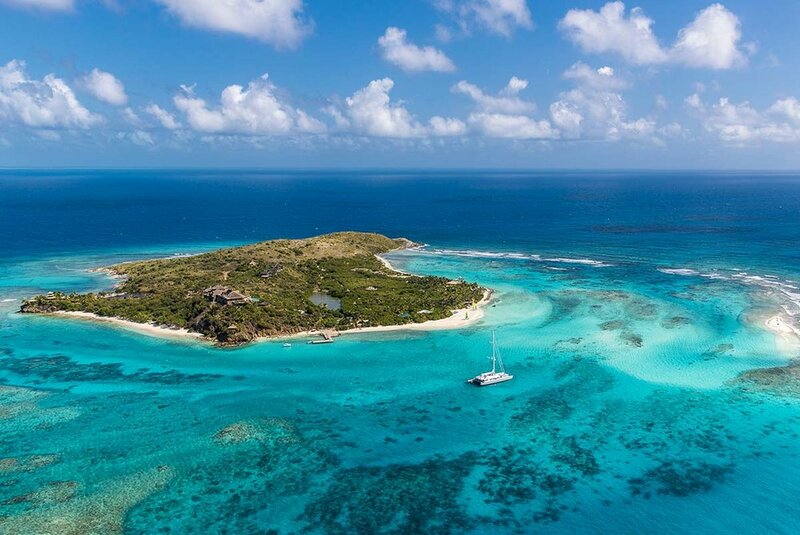 One of the few remaining privately owned islands in the BVI, Guana Island is a quintessential Caribbean paradise. Largely a nature reserve due to its abundance of flora and fauna species, Guana comprises 850 acres of tropical forests ringed by seven white powder beaches. Three reefs offering everything the spectrum of colorful tropical fish and large oceanic fish like tuna and king mackerel surround the island. The welcoming waters of White Bay will inspire an afternoon of snorkeling in the reef and exploration along the desolate beach. 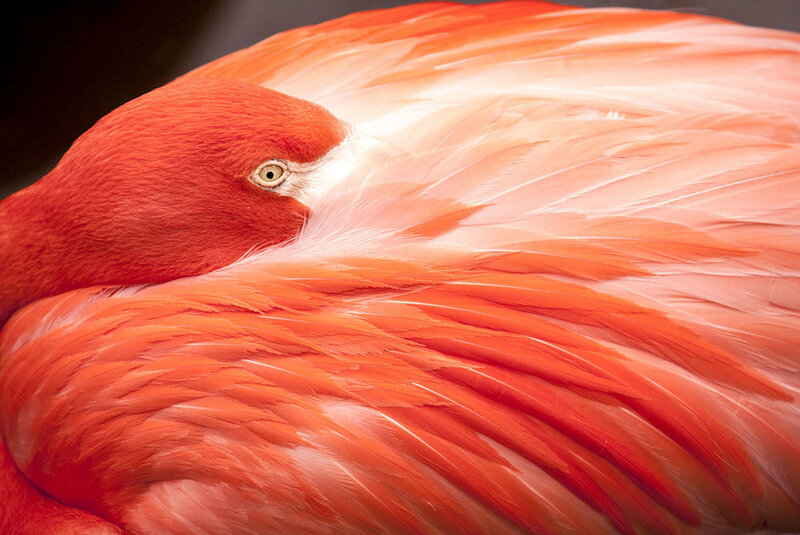 Hike inland to catch a glimpse of the red-legged tortoise, stout iguana, Caribbean flamingo, or any of the variety of protected animal species that live on the island. 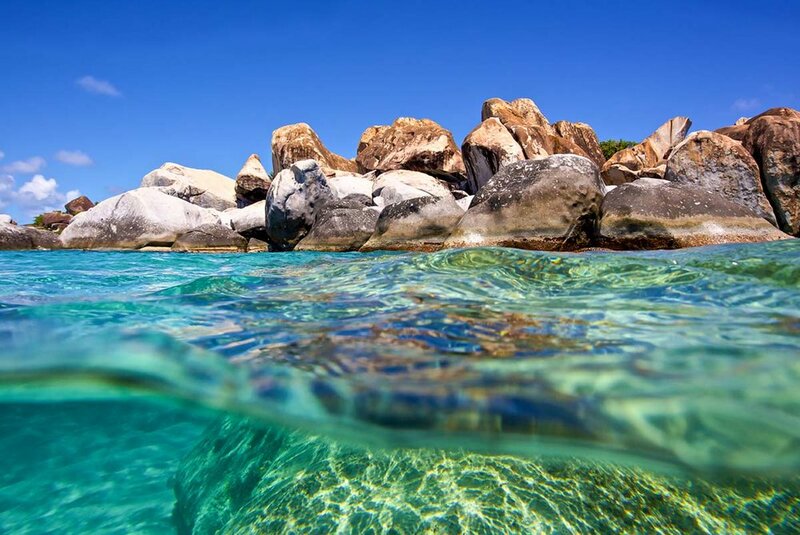 The third largest and second most populous of the BVI, Virgin Gorda is a mecca for watersports enthusiasts and guests can partake of a variety of activities, from snorkeling to jet skiing to diving the reef, as soon as the anchor is dropped. The not-to-be-missed attraction here are The Baths, spectacular granite rock formations that have created a series of caves and pools offering an exceptional swimming and snorkeling experience that is second to none. Virgin Gorda is also home to several yachtie haunts, such as Oil Nut Bay Resort, the Yacht Club Costa Smeralda or the infamous Bitter End Yacht Club. This classic Caribbean island’s past visitors include Christopher Columbus, Blackbeard and Sir Francis Drake. A prestigious private resort, Peter Island is the place to indulge in an all-day spa or linger on one of the five picture-postcard private beaches. The 1,800-acre island offers a slice of paradise within paradise. Steeped in pirate lore and rife with tales of buried treasure, Norman Island is said to be the real-life Treasure Island that Robert Louis Stevenson made so famous. Rocky headlands, secret bays and hidden cays set the scene for tendering to shore and snorkeling through the caves close to the beautiful beach of The Bight. 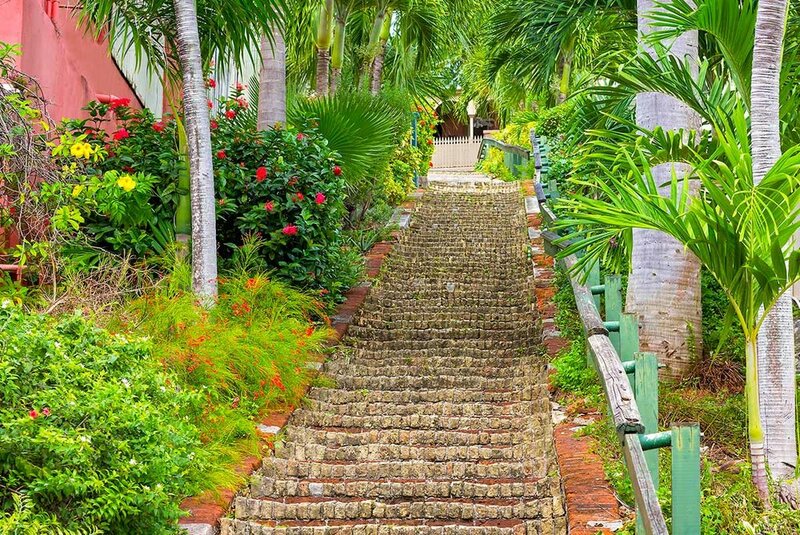 Here you can search for buried treasure, wander through plantation ruins or simply kick back on a white sand beach with a frosty beverage, BVI style.